Our Dogs and the joys of providing home made dog food or a high quality commercial diet are just one way we show our friendly and loyal companions how much we care. From the dog’s point of view of course they are counting on you as their master in taking good care of them, giving the attention they deserve, and most importantly – feeding them. All dogs in general love eating particularly home made dog food and see it as a reward by their owners so they’ll pretty much eat anything as long as it’s edible. Because of this you need to make sure that the home made dog food you provide gives your dog the proper nutrition that it needs to live long and stay healthy. It pays to work with a veterinary nutritionist to ensure that you have the right combination of protein, vitamins and minerals in the diet. Commercially made dog food products may boast all of the vitamins, minerals, taste, and other nutritious ingredients that your dog rightfully needs. But, they aren’t always the best solutions as they are filled with unhealthy additives and preservatives that can greatly affect your dog’s lifespan if your dog relies on them too much. At a minimum, make sure that the dog food you buy meets the AAFCO standard. If the label does not say AAFCO, do not feed the food to your dog. All major brands meet this standard. Many owners decide the only way to go around this is to keep these commercial products to its minimum and focus more on home made dog food instead. It may not be absolutely perfect for your dog, but it is the closest thing in ensuring a balanced and healthy diet which is required if you wish for your dog to live a long life. If you are going to ditch your old dog feeding habits and join the many others who are feeding their dogs with home made dog recipes, know first the advantages and disadvantages in serving these meals to your dogs. • You decide the ingredients in preparing the meals so you know exactly what goes into your dog’s diet. • Just like ordinary recipes for people, they have all natural ingredients that cost significantly lesser than pre-packaged commercial products. • Many ‘do it yourself’ recipes for dogs are easy to make with the ingredients readily available in local markets. • You can prepare healthy and flavourful meals without any fear of including any harmful additives that the commercial products have. • The nutritional content found in well-prepared meals can be enough to make your dog more active and live healthier for a greater span of time. • Meals can be immediately prepared from the leftovers of family meals. Nothing is wasted this way. 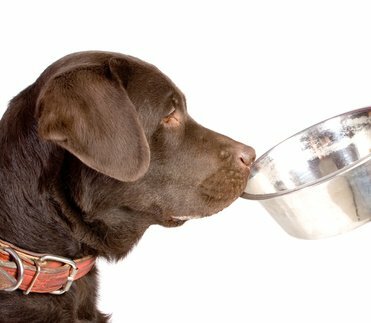 • Deciding and preparing what your dog should eat can be time consuming as opposed to easily acquiring canned dog food that is ready to eat. • Preparing the right meals takes a lot of knowledge in figuring out what is best for your dog and how to keep their diets balanced. It can be just as difficult as maintaining a healthy balanced diet for people. • Badly prepared recipes can have some negative effects on your dog’s health. 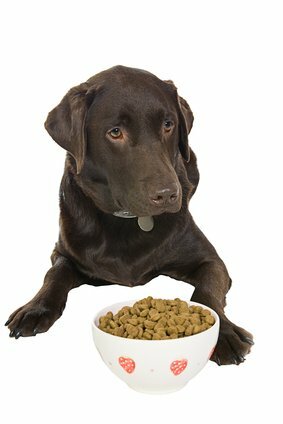 With the so many benefits of home made dog food to your pet, it is an excellent way to help keep your pet in top condition. While there are a few disadvantages, these can be worked around if you spend some time and research on how to correctly prepare the best meals for your dog. These can be generally easy to do as long as you have a passion in keeping your dog happy and healthy. To learn more we suggest the book dog food secrets.